When preparing greasy foods like burgers, bacon or steak the excess grease can dirty your cooking equipment. Basting covers protect your grill or cooktop, while keeping foods warm and moist. 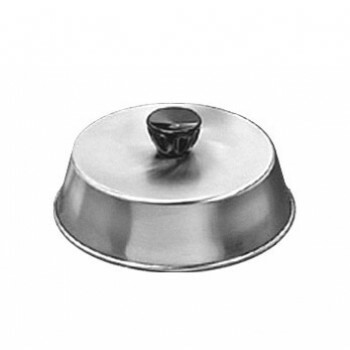 Covers are also efficient for serving and transporting food that needs to be kept steaming hot. These covers also prevent grease from splashing onto other meals being prepared in the vicinity. Additionally, the stainless steel construction makes these easy to clean and sanitized, while keeping them durable for constant use.